This has been a year of many personal milestones—my husband and I both turned 40 during the last several months, and we just celebrated our 20th anniversary last week, so we have been feeling grateful and contemplative in the midst of all the busyness that comes with raising children. 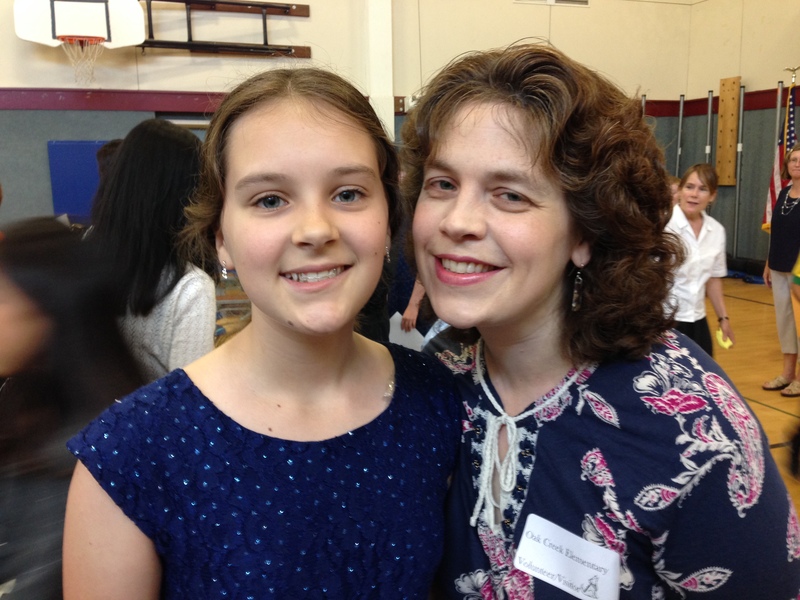 Our son Mark entered high school and turned 15 this year—he is now learning to drive, which is a little harrowing—and our 11-year-old daughter Julia completed fifth grade and will be starting middle school in the fall. 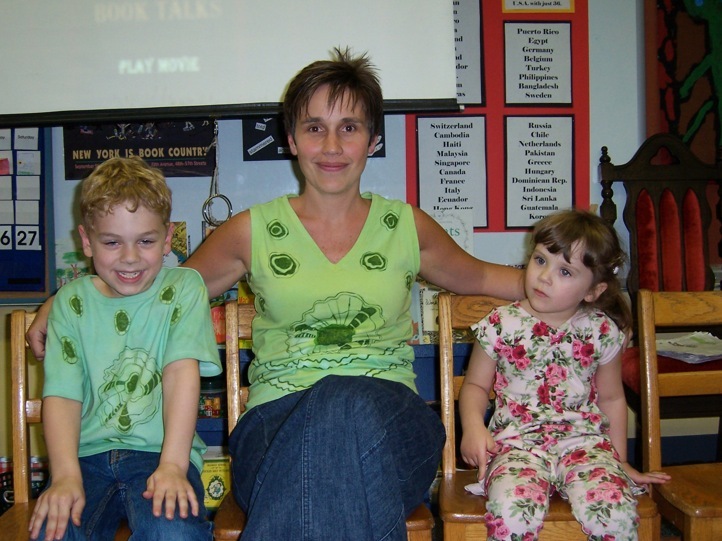 It is very hard to believe that our years of having elementary school-aged children have officially drawn to a close. 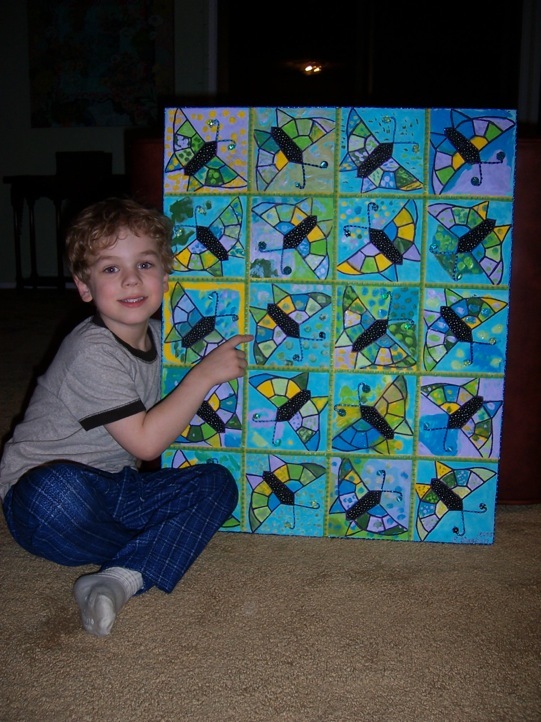 During my first year as an art literacy volunteer, I helped Mark’s kindergarten class create this collaborative butterfly painting for the school auction. 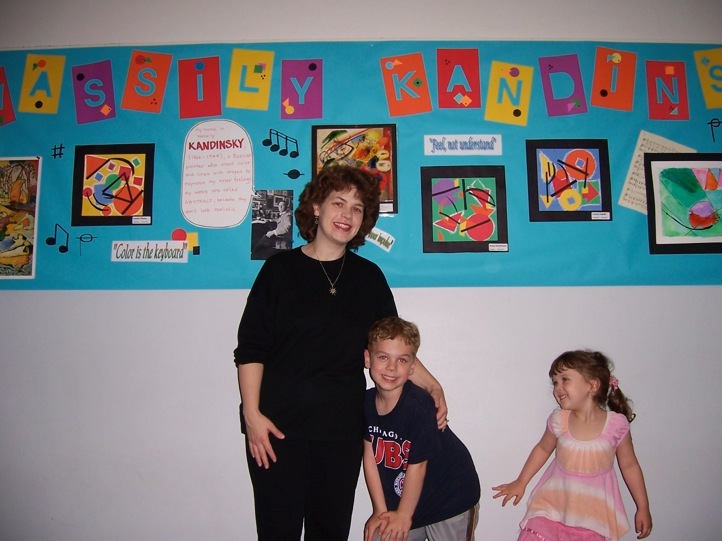 Here’s a photo from the art show at the end of that year—my friend Shari and I had a very long hallway of bulletin boards to cover with pieces of student art inspired by Wassily Kandinsky; this is only a tiny fraction. The Kandinsky Wall–what is Julia up to? 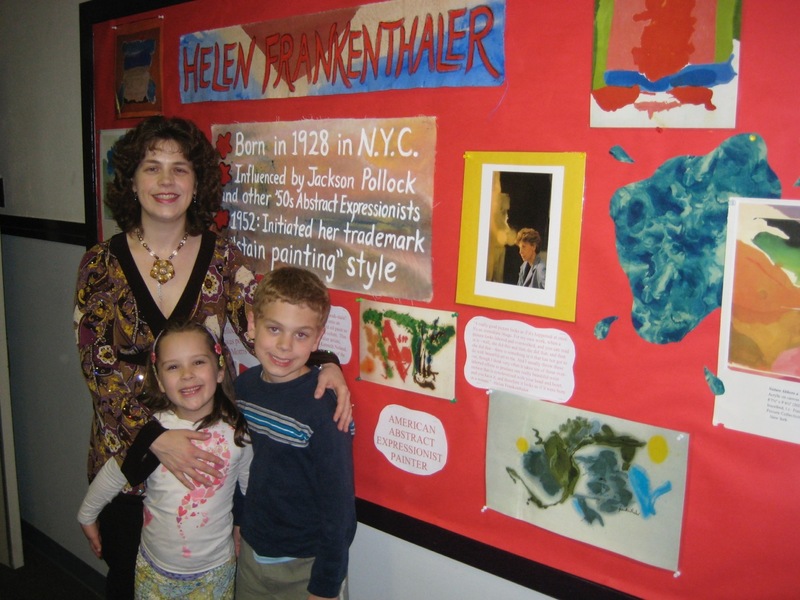 Here is a photo from a school art show a couple of years later—I really enjoyed teaching the kids about Helen Frankenthaler, and luckily I had a smaller hallway to fill, too! 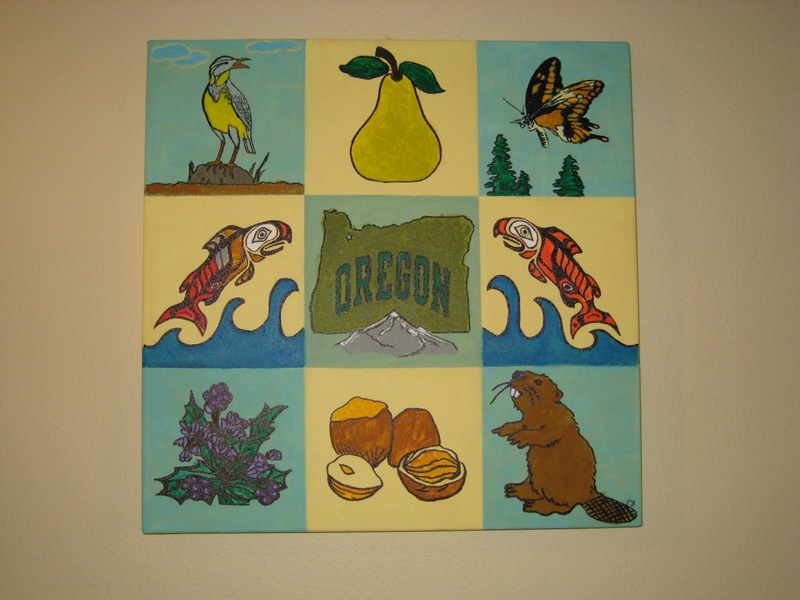 …and for Mark’s 4th grade class, a collaborative painting inspired by an Oregon quilt with a rose motif; the class was studying the Oregon Trail that year. 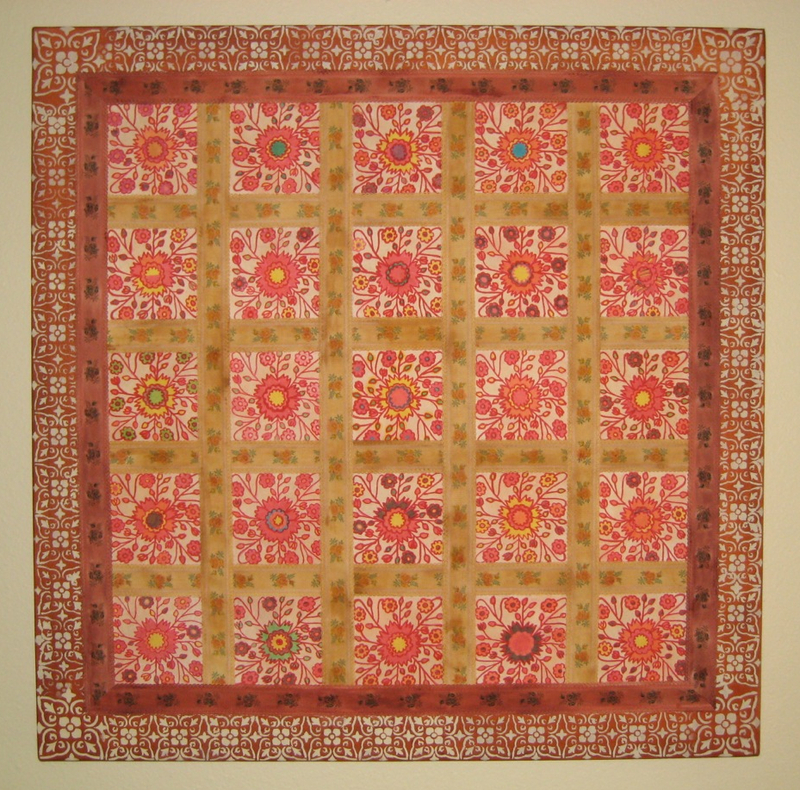 I unified the quilt squares, which were printed on silk and then colored by the students, with a stenciled border and painted ribbon. I thought this was a particularly successful piece; the parent who bought it at the school auction was really happy to get it! There were many more projects, but these are definitely some of my favorites. Looking back at the fruits of the hundreds of hours I spent volunteering with the art literacy program during my kids’ elementary school years is truly a source of pride and happiness. Me and my graduating girl!